This October, Vito Schnabel Projects is pleased to present an exhibition of six works in various media by Dan Colen, spanning the years 2002-2006. As such, the show presents an overview of the formative crucial years of Colen’s production but also expands to highlight important aesthetic currents animating the contemporary-art milieu of the period, during which Colen’s practice was to prove decisive. 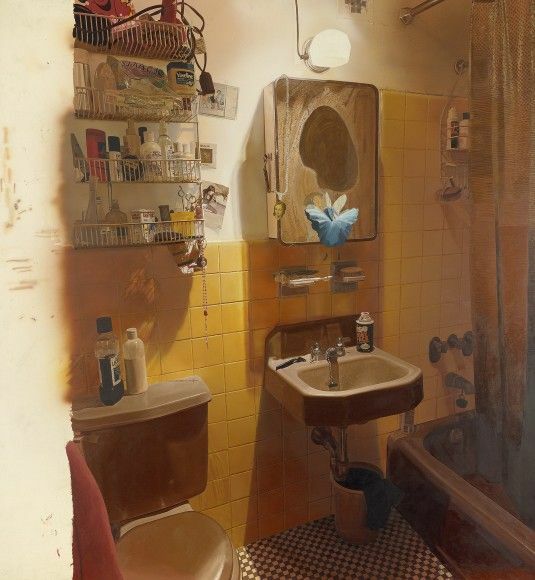 Photorealistic simulation and Technicolor fantasy collide in these works, and the delicate tissue of illusion breaks against the grit of the urban life. And yet that very grit is itself shown to be another cunning facsimile, another subterfuge and ruse, as in the iconic menhir Virgin Schmirgin (2006), in which the crud of the streets has been recast as a dazzing trompe-l’œil artifact. Colen’s paintings likewise recapitulate the dialectic of hyperrealism and phantasmagoria. The artist lovingly depicts the ephemera and residue of ordinary life in paintings like Madonna and the Fairy (“First they exchanged anecdotes and inclinations”) of 2002-2003, and one is overwhelmed by painterly skill indeed bravura, as the aesthetic stratagems of Photorealism give way to an uncertain, tenebrous Romanticism. In a different vein, the candle painting So Long (2005) plumbs the green-blue aqueous depths of the Disney image repertoire, and the susurration of barely recollected dreams tears a hole in the fabric of the commonplace; the dreamer awakes not to daylight but to the sublime.